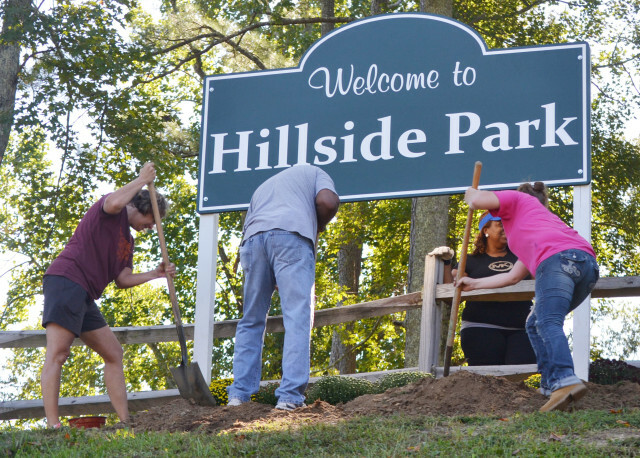 Above, volunteer members from Charles City county departments as well as local citizens distribute mulch around a newly erected sign at Hillside Park located at the Charles City Courthouse complex as part of “Give RVA a Day” on Sept. 23. The day was designated for localities to have the opportunity to beautify their respective communities to promote tourism and give attention to much needed projects. Below, Charles City police captain L.T. 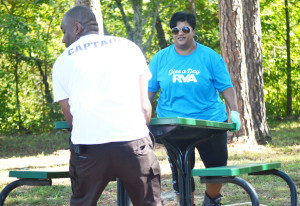 Comer (foreground) and county administrator Michelle Johnson move a freshly painted picnic table to its new location.